Feynlab’s ceramic and nano technology coating is a standard feature on all new and hand-built Avezzano GT, Esperante GT, and limited edition Esperante Spyder GT sports car models. Panoz, the Georgia-based manufacturer of aluminum-intensive high-performance sports cars, announces that all Panoz sports cars will include Feynlab Self-Heal Plus paint-protection coating as a standard feature to help ensure Panoz owners enjoy a brilliant, high-gloss appearance for many years to come. 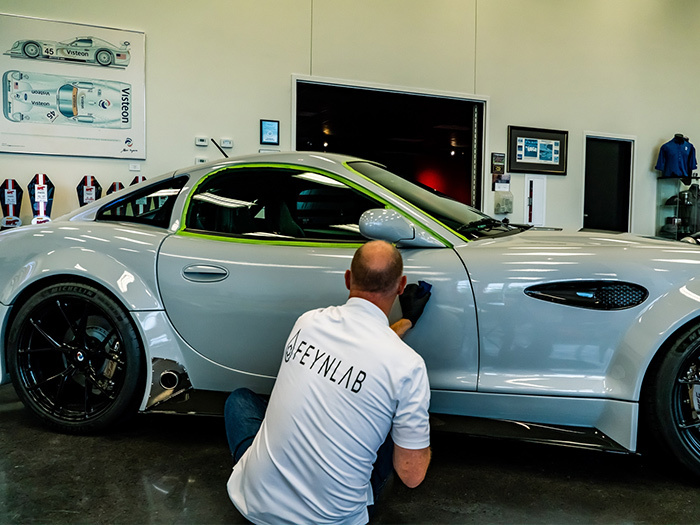 Starting immediately, the Feynlab Self-Heal Plus coating will be applied to all Panoz sports cars created at the company’s Braselton, Ga. facility as a free added-value customer benefit. This includes the new Avezzano GT, the soft-top Esperante GT, and limited-edition Esperante Spyder GT sports cars, which start at $159,900, $164,900 and $169,900, respectively. All are available with a 430-hp normally aspirated V8 or a 580-hp supercharged V8. Feynlab Self-Heal Plus is a semi-permanent and self-healing ceramic and nano technology coating that helps protect automotive paint finishes from damage caused by ultraviolet light, oxidation, acid rain, and other environmental conditions that can lead to paint-finish degradation. What is unique is the coating’s ability to self-heal minor surface imperfections like scratches and swirl marks. Feynlab describes the technology as nano-size magnets attached to the end of Feynlab’s durable ceramic chains to create a ‘memory polymer.’ When separated – by a scratch, for example – the memory polymer snaps back into place when exposed to heat. Thus, light scratches and surface marring on a Feynlab Self-Heal Plus-treated vehicle can be restored to its original luster by simply parking the vehicle in the sun for the afternoon or giving the affected area a quick pass with a hair dryer. 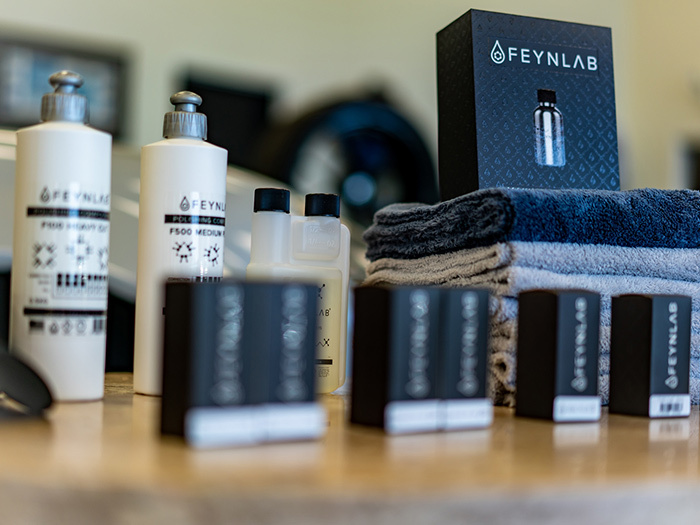 Feynlab, based in Lombard, Ill., shares another aspect with Panoz – both are U.S. organizations that proudly develop and sell Made in America automotive products and high-performance sports cars. Please visit Feynlab.com to learn more about the company and its products. 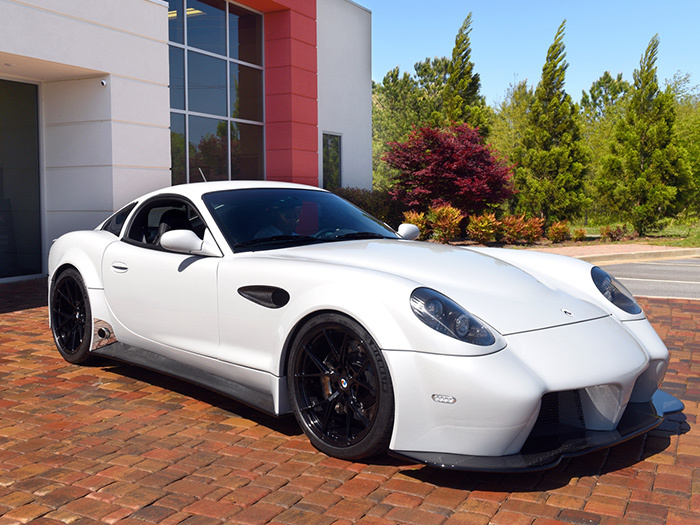 Panoz unveiled its V8-powered, two-seat fastback Avezzano GT sports car in late 2016 and quickly proved the concept through motorsports. Team Panoz Racing announced it would compete for the 2017 Pirelli World Challenge GT4/GTS Championship racing the new Avezzano GT with Driver Ian James and Team Manager Tom Milner. Despite fielding an all-new race car and enduring teething pains in the first two race weekends, Team Panoz Racing strung together a tremendously successful season. James earned 10 podiums in the last 12 PWC GT4/GTS Championship races, compiled a seven-race podium streak, and scored six victories: two back-to-back wins at Road America, and one each at Mid-Ohio, Utah Motorsports Campus, the Circuit of the Americas, and Sonoma Raceway. 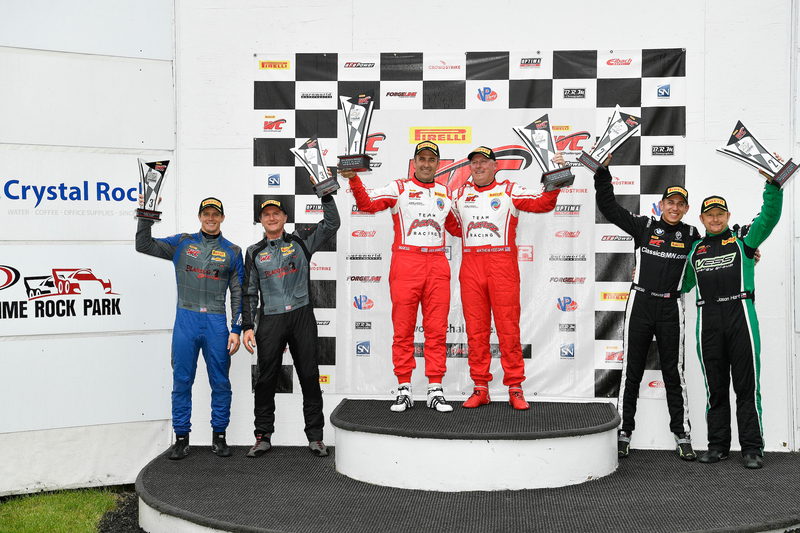 As a result, Panoz finished second in the 2017 Sprint GTS Manufacturers Championship, and James and Team Panoz Racing finished second and third in the Drivers and Team Championships, respectively. Team Panoz Racing competes in the 2018 Pirelli World Challenge GTS Championship racing the Nos. 50 and 51 Panoz Avezzano GT race cars with driver Ian James, Dr. Preston Calvert, and Matt Keegan. The Avezzano GT sports car is the latest street-legal Panoz creation featuring a new fastback configuration, an aluminum chassis and aluminum and carbon fiber composite body, and a 6.2-liter, 430-plus horsepower Panoz/Élan aluminum block V8 mated to a heavy duty, close ratio six-speed manual gearbox. Panoz also markets the two-seat Esperante GT convertible, as well as the limited-edition Esperante Spyder GT. Like all Panoz creations, numerous interior, exterior and performance options are available. Q1. Can the coating be put on an existing paint? A1. Yes, though the paint needs to go through a “correction process” where any existing flaws are addressed otherwise the coating would magnify the imperfections. Q2. What happens when my white Panoz gets pollen in a scratch on a warm day? A2. The best way to explain it is imagine nano sized magnets attached to the end of the durable ceramic chains, creating a memory-polymer, when separated they try to pull back together. They don’t encapsulate contaminates but rather heal from the bottom up. Heat aids this process but the coating does not get “soft” per se.